Home » Reviews » In short, it was fantastic! In short, it was fantastic! In short, our trip was fantastic! We had just two guides for our 2 days in Moscow and for our 4 days in St. Petersburg. The Moscow guide was very competent and her English was very good and easy to understand. She was a very good guide and was very accommodating in showing us to things that we wanted see (such as Yeliseyevsky's Market) which weren't on the scheduled agenda. We were very thankful that on the day that we went to St. Petersburg she personally went with us and made certain that we were on the right train, the right car, and the right seats. The guide in St. Petersburg on the other hand, was an absolute blessing to us! I'm sure that when the assignments were made, nobody knew that I am a professional classical musician, and that he (in additional to being a super travel guide) has his musical training as a classical musician. He is a conductor who has his own choir which has recorded CDs, and has toured abroad, including the U.S. We had so many common interests that after the first day, we didn't feel that we were with a "tour guide" but we felt that an old "friend/colleague" was proudly showing us around his hometown. For us, he really made the trip wonderful! The hotels you chose for us were very good. All of the staff at both hotels were extremely friendly, helpful, and went out of their way to make our stay in their hotel a great experience. We were very pleased with the location of both hotels. The Assemblya Nikotskaya in Moscow had relatively spacious rooms. On the other hand, our "Standard Room" in the Hotel Rossi, was very small, even by most European standards. It appears that an upgrade to their "Deluxe standard" room would bring considerable enhancement. Rossi does have an excellent breakfast buffet. We send our sincere thanks for providing us with a most memorable experience. 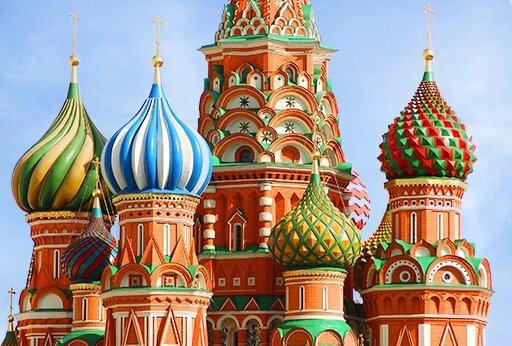 We would be very happy to recommend Travel All Russia to others.